I look immediately at AOC. AOC gets a massive grin on her face. It stays there for Trump’s entire comments on socialism. 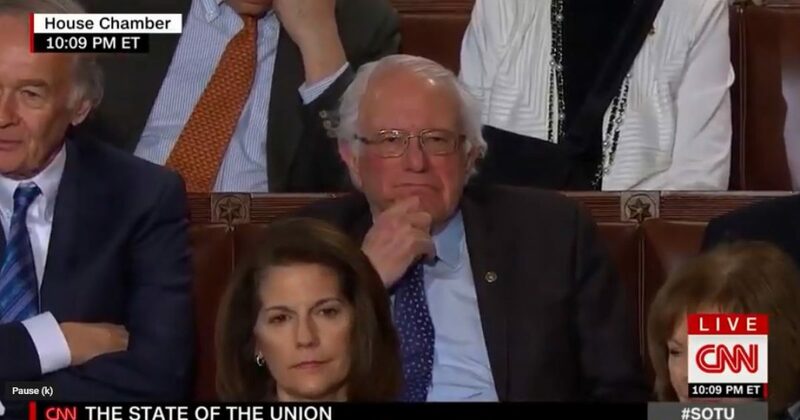 During Tuesday night’s State of the Union speech, President Trump took a solid shot at socialism and declared the United States “will never be a Socialist country.” This didn’t sit too well with Socialist Senator Bernie Sanders, I-Vt., judging by the look on his face. He went on to excoriate the radical position taken by quite a few in the Democrat Party.